A lovely Coromandel beach bach (one of a dozen or so in a cluster by the bay), a great coastal spot for a stay. 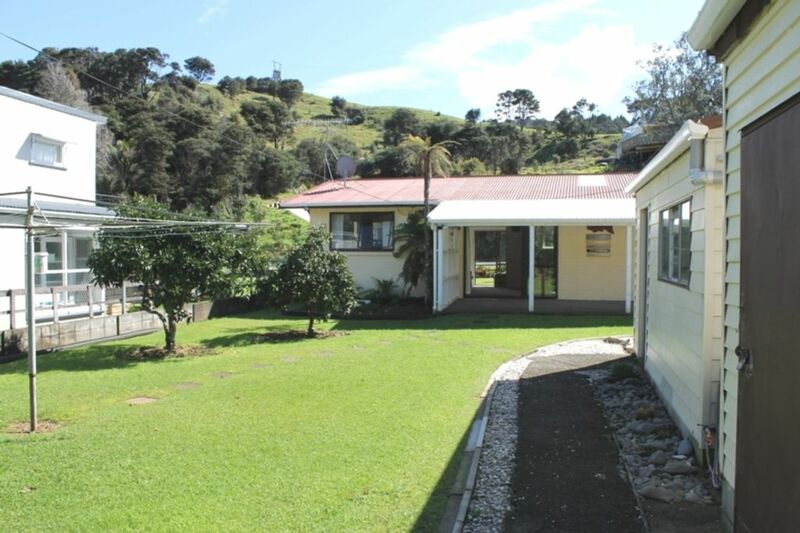 This is a cool little original 2 bedroom bach on the western seaboard and just a short drive north of Coromandel Town. Neat as a pin the bach has been recently refurbished with brand new kitchen and bathroom. Two bedrooms, open plan lounge, kitchen and small sunny sitting room. Out back is a covered veranda for outdoor summer alfresco dining. A lovely back lawn and fish filleting table. Beach access via the backyard and walkway to tidal beach, gather shellfish (cockles! ), swim or beach comb. •	Well set up for fisherman – bait freezer, beer fridge, fish filleting table. •	Excellent and easy flat off-road parking for vehicles and boats. Kick back in Kikowhakarere Bay (aka Shelley Beach) 6 kms drive north of Coromandel Town and 1 km drive to Oamaru Bay where you can picnic and sit under the lovely Pohutukawa trees, swim, kayak or launch the boat from the beach 2 hours either side of high tide. Also an excellent bach base to discover the beautiful northern Coromandel with day trips to Waitete Bay (2 white sand, safe swimming beaches) and further north to Colville and Port Charles and Port Jackson. ***Peak rates apply to all public andamp; school holidays. Children will require supervision around the rear stream and roadway. Lovely, clean, comfy accommodation andamp; super coastal location! Combined bathroom (shower, vanity, toilet) + washing machine. Modern large corner shower, tiled walls and flooring. At the rear of the bach is a covered area overlooking the back lawn and trees. Outdoor furniture and seating for 6 - 7 people. Well appointed kitchen and bathroom, and generally comfortable family bach. Generous supply of linens. Kids loved the backyard, complete with stream and eels. The bach is right on the road where there's no footpath so we had to watch the kids. Some fabulous beaches nearby. And really friendly neighbours. Great property with a short walk to the beach. Great property with a short walk to the beach. Lovely new kitchen and bathroom and nice covered outdoor deck where we had our meals, altho there was ample room inside with the lounge and sunroom. 2nd bedroom could sleep 5 if needed. Great location. Great little property that has everything you need. Great family Bach! This was a great place to stay and is very well set up. Lovely bach . Has everything you need and more. Beautifully cleat and tidy. I Gave this property a five star for the fisherman and woman. I Gave this property a five star for the fisherman and woman. It has everything you need.Its a lovely neat batch . We will definitely come back . Thank you to the owners for letting us enjoy your holiday Batch.